This post contains Affiliate Links. I was also compensated by Perry’s for putting together this post (at absolutely no cost to you!) but as always the opinions expressed are 100% mine. I only ever recommend brands that I truly love, use and stand behind. Thank you for supporting the brands that help support this blog. For more information please see the disclaimer here. This party was totally a labor of love and it really turned out more beautiful than I could ever have imagined. It was in large part thanks to my dear J, who continues to blow me away by bringing my big ideas to life. 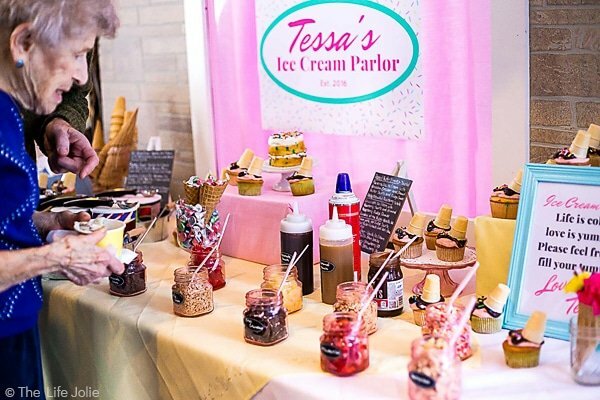 And also because the amazing people at Perry’s Ice Cream teamed up with me to provide the most delicious Ice Cream Sundae Bar ever! But lets back up and I’ll start from the beginning. A few months ago, I begin kicking around idea’s for T’s birthday party. I was originally unsure of where to begin because March in Rochester is typically quite cold. So we didn’t exactly have the option of throwing a party on our patio like we did for A’s first birthday party. Luckily, my sister’s apartment complex offers a great room that was the perfect size to accommodate our guests. So we had a location but we needed a theme. I decided to avoid characters because I know in a year or two she’s going to be all about characters (hello Mickey Mouse Clubhouse!!) and I’ll have no say in party themes! You gotta take what you can get while they’re still too young to care. I kicked around a few ideas that I thought were cute like Flamingos, Twinkle, Twinkle Little Star and Pink Lemonade. But when I started coming across Ice Cream party inspiration, I knew deep within my food-loving heart that this was the perfect idea! I mean, come on! Tess LOVES ice cream- we all do! Life is a Bowl of Perry’s! Once our theme was locked in, I started thinking about all-things-ice-cream (so, ya know, pretty much a normal day for me!) and I was reflecting on my undying love for Perry’s Ice Cream. I come from a long line of Perry’s Ice Cream fanatics. In fact, everyone in the family loves Perry’s signature taste, creaminess, and variety. Oh my gosh- the flavors! There are so many unique flavors! Now a first birthday party is without a doubt one of life’s moments, and a very important moment in our family. And that’s another reason the ice cream theme tugged at my heart strings. Being present in the moment, the simple joy of ice cream. As emotional as I am about my last baby turning one (!!) I made an active decision to be present in this moment and the joy of the day really did come through. Perry’s Ice Cream is available in retail stores and ice cream stands across New York State and Western Pennsylvania. You can check out places that carry Perry’s here. They’re pretty involved in the community and with local charities. I love that there are also plenty of delicious gluten free options (and all but one flavor is kosher!). They even make sorbet and slush pops that are milk free. For all of life’s moments, there’s a Perry’s flavor and we had a tough time deciding which to feature! We finally narrowed it down to 10 different options. From Perry’s Premium 1.50 Quarts, we opted for Chocolate, Vanilla Bean, Strawberry, All American and Panda Paws™. Perry’s Premium Ice Cream Quarts are a great option if you want more than a pint but still don’t have a ton of room in your freezer! And the flavor options are seriously unique and delicious- everyone was raving! From this line we chose Banana Cream Pie, Rocky Mountain Raspberry, Sundae at the Ralph™ (because you know J wasn’t about to let me get away with not having the Bills involved in some capacity! ), Peanut Butter S’mores and Grasshopper Pie. The centerpiece of the entire party was the dessert table. 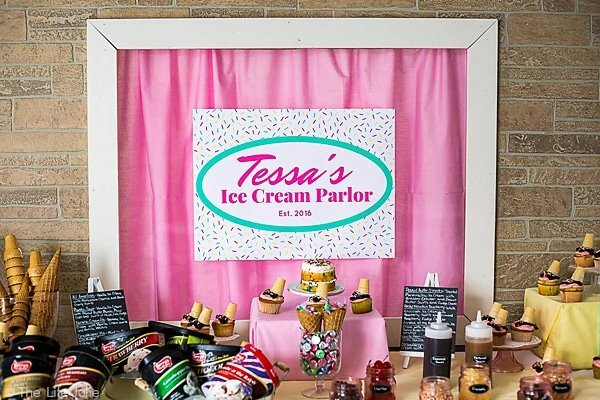 Justin constructed a backdrop designed to look like the facade of an Ice Cream Parlor, complete with a brick wall, an awning and a window. I talked to him a little bit about what I was hoping to accomplish and he basically created a backdrop that far exceeded my expectations! He seriously went above and beyond here and I’ll be sharing directions for making that in the coming weeks, so stay tuned! 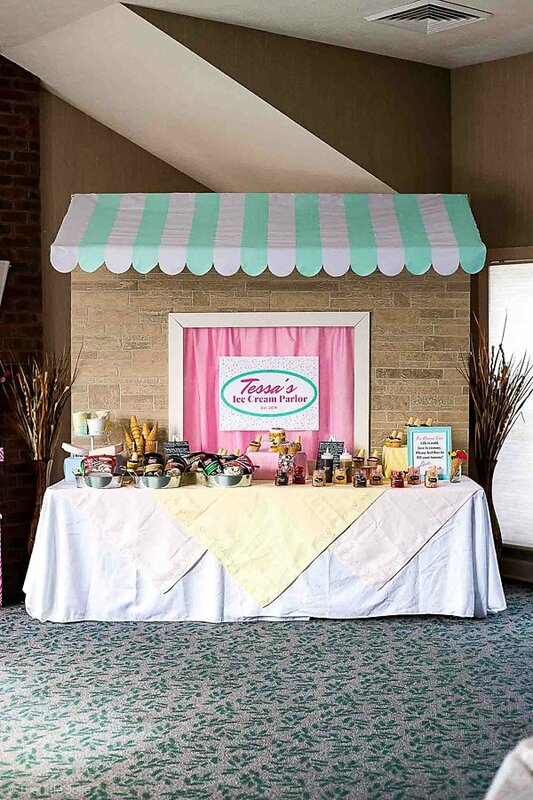 I originally envisioned a dessert table that was cute, colorful and brimming with goodies! We had excellent luck finding tons of cute accessories at great prices at places like Target (the Target dollar section never lets me down- except for the fact that those items aren’t available online- also the Valentine’s Day clearance items were a major score- I’m talking $.30 garlands here! I pillaged the whole section), The Christmas Tree Store, Michaels, Joann Fabrics, the dollar store and my own home. I did my best to locate items online so you can get them for your own ice cream party. But whatever wasn’t available for online purchase I found similar items. You’ll find those links in the captions of the photos. We had bowls as well as waffle cones, sugar cones and kiddie cones. I made these (adorable!!) Melted Ice Cream Cone Cupcakes that I shared last week and chocolate kisses were also up for grabs. And I couldn’t forget a small smash cake for T to go to town on, and boy did she have at it! My gal was dainty for a whole 30 seconds until she let loose and gave that cake a run for it’s money. She totally learned that from me. 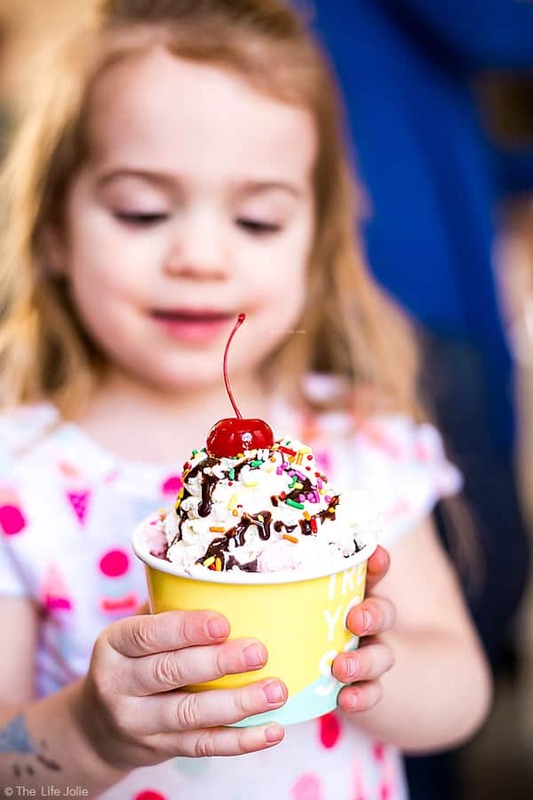 Our guests enjoyed a variety of toppings including whipped cream, hot fudge, chocolate sauce, caramel sauce, sprinkles, peanuts, cookie crumbles, bananas, strawberries, pineapple tidbits, mini chocolate chips, toffee bits and of course plenty of cherries. Needless to say, nobody went hungry! In addition to a huge Sundae Bar, with all the Perry’s Ice Cream we could ever want (actually that’s not true. I will always want more!) we provided pizza and wings since the party was being held around lunch time. 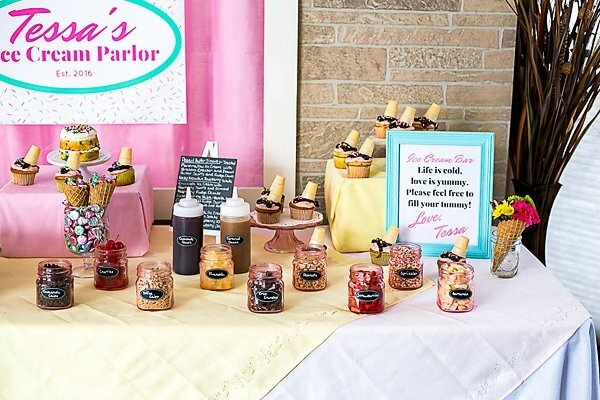 But the beauty of having the dessert table as the centerpiece at this party is that it was very clear from the start that the sundae bar was the main event, so everyone made sure to leave plenty of room. Of course we encouraged our guests to go back for seconds and thirds! And being the Perry’s enthusiasts that they are, they were all very happy to oblige. To make the pizza table a bit more festive, J painted a couple of dowels and screwed them into one of the tables that we brought. He then made a few notches in the dowels and we were able to hang some pretty garlands. 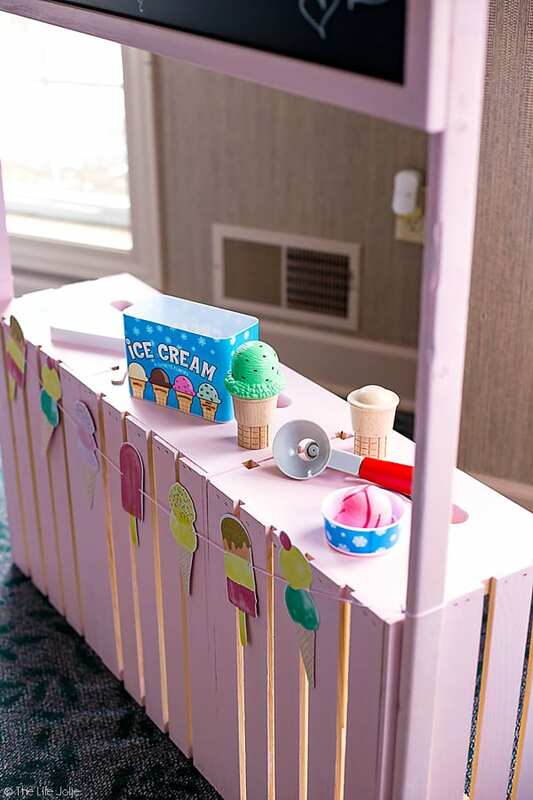 We set up a fun play area for the kids with the DIY Play Stand and the toy ice cream set that were our gifts to T for her birthday, as well as a coloring station. I found some adorable free printable coloring pages here and printed out a bunch. These were definitely a hit! Speaking of printables, I’m a total sucker for a cute printable. 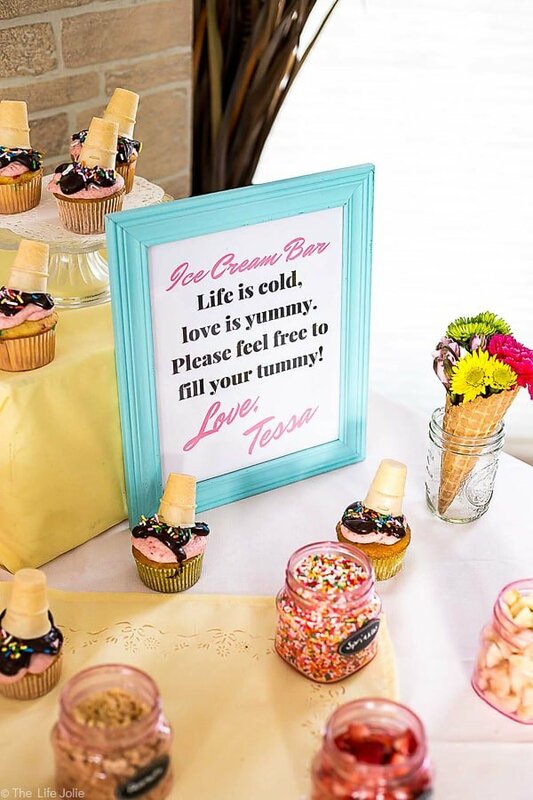 I love fun little clever phrases and plays-on-words that go with my theme, so I couldn’t pass up an opportunity to create some cute printables to tie in some of the spaces that weren’t as prominent decor-wise. They turned out super cute and I just had to make them available for free to my subscribers. At the last minute, I also threw together some simple and sweet centerpieces using a mixed bouquet from our grocery store as well as some waffle cones and some jam jars that are part of my food photography prop collection. Overall, it went off without a hitch. We had a crazy wind storm a few days prior to the party which left much of Rochester without power and two days after T’s party we had a wicked Nor’easter that swept through and kept many people house-bound. I don’t know how we got so lucky to have everything work out perfectly- full power, warm venue, delicious food, the very best ice cream and a very cold but still bright and sunny day! Most importantly, my sweet little T and all of our guests had a great time! Tess was a little rockstar and happily got passed around all day. 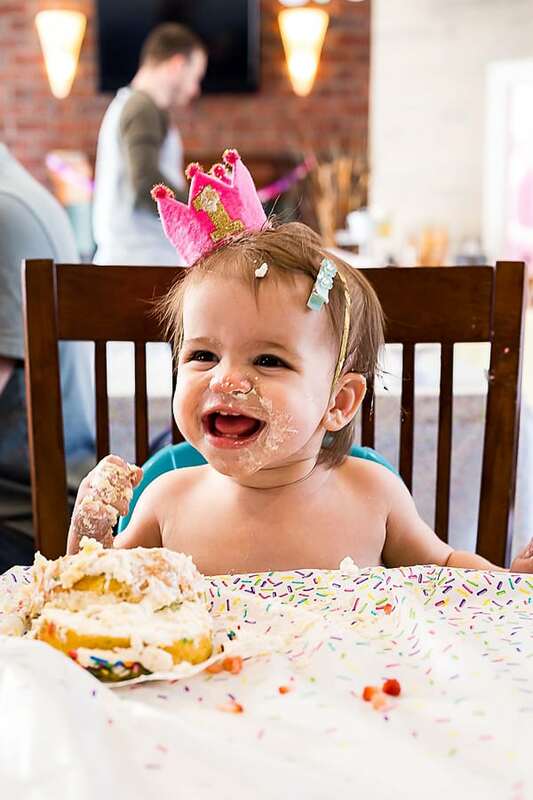 She had a blast crawling around and following after her sister and watching her go after that cake was unforgettable. This giveaway has ended! Congratulations to Allyson T.! The awesome people at Perry’s have generously given me a Perry’s Ice Cream Prize Pack to give away to one lucky reader- so you can have your own Perry’s Ice Cream Party! Details: This giveaway will run through 3/29/17 and a winner will be chosen at random and contacted via email. Terms and Conditions: One (1) Perry’s Ice Cream Prize Pack ($50 value). The winner will be notified via email on or around 3/30/2017. This giveaway is only open to legal residents of the 50 United States and District of Columbia who are at least 18 years old as of the date of entry, except anyone directly associated with Perry’s Ice Cream or The Life Jolie (sorry Justin!). 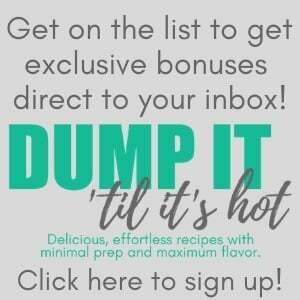 This promotion is void outside the 50 United States and the District of Columbia, and where prohibited. Just in case you forgot to get those free printables, click here! March 22, 2017 at 2:46 pm Peppermint ice cream is my favorite!! Too bad it's only available during the winter holidays! Thanks for the giveaway! March 22, 2017 at 3:45 pm I love this flavor combo! March 22, 2017 at 3:28 pm My favorite is mint chocolate chip. March 22, 2017 at 4:17 pm I love strawberry ice cream. March 22, 2017 at 10:09 pm That's one of my daughter's favorites! Perry's makes a killer strawberry too! March 22, 2017 at 4:30 pm I love chocolate mint! March 22, 2017 at 10:08 pm The ultimate flavor combo! March 22, 2017 at 5:36 pm My favorite is peanut butter cup. March 23, 2017 at 9:02 am Nice! March 22, 2017 at 6:12 pm My favorite ice cream flavor is chocolate chip cookie dough. March 22, 2017 at 6:49 pm I like chocolate ice cream with peanut butter swirls. March 22, 2017 at 10:00 pm I could totally get on board with this!! March 22, 2017 at 10:00 pm OMG yum! March 22, 2017 at 8:56 pm My favorite ice cream flavor is birthday cake! March 22, 2017 at 9:59 pm I've never tried birthday cake but it sounds delicious! March 22, 2017 at 10:41 pm I love mint ice cream...its the best. March 23, 2017 at 9:01 am I agree! March 23, 2017 at 8:53 am Excellent choice! March 23, 2017 at 12:40 am My favorite is fudge swirl! March 23, 2017 at 8:52 am Chocolate makes everything better! March 23, 2017 at 8:51 am Yes- my fav! March 23, 2017 at 7:13 am I like vanilla with peanut butter swirls. March 23, 2017 at 8:49 am Yum! March 23, 2017 at 10:25 am My favorite ice cream flavor is butter pecan. March 24, 2017 at 3:12 pm I love butter pecan too! March 23, 2017 at 12:04 pm I love ice cream and love trying new flavors. My favorite flavor, though, is mint chocolate chip! March 24, 2017 at 3:11 pm It's so much fun to try new flavors! March 23, 2017 at 3:45 pm My fave is chocolate chip mint. March 23, 2017 at 4:57 pm I love Mint Chocolate Chip! March 24, 2017 at 3:09 pm I do as well! March 23, 2017 at 6:11 pm My all time favorite flavor of ice cream is Black Licorice! So delish! March 24, 2017 at 3:06 pm Whoa- I had no idea this is an ice cream flavor! March 23, 2017 at 9:51 pm Excellent choice! March 23, 2017 at 6:58 pm Chocolate Chip Cookie Dough is my favorite ice cream flavor. March 23, 2017 at 9:50 pm Gotta love the cookie dough! March 23, 2017 at 7:18 pm My favorite ice cream flavor is mint oreo! March 23, 2017 at 9:47 pm That sounds awesome- That sounds very similar to Perry's Mint Ting-a-ling! March 23, 2017 at 9:47 pm Yes! March 23, 2017 at 9:37 pm I'm actually surprised I haven't seen more cookies and cream in these comments! March 23, 2017 at 9:46 pm I'm sorry you weren't there to enjoy it with us! I'll be posting the tutorial for the dessert table very soon! March 23, 2017 at 10:11 pm Yayyyyyy!!! Thank you so much :) an THANK YOU FOR THE GIVEAWAY! And I'm surprised there wasn't more cookies and cream too! March 23, 2017 at 9:26 pm My favorite ice cream favor is Strawberry. March 23, 2017 at 9:35 pm I love Strawberry! March 23, 2017 at 9:42 pm My favorite flavor is chocolate and peanut butter! March 24, 2017 at 3:05 pm A classic combo! March 23, 2017 at 9:42 pm I'm a fan of mint chocolate chip. March 24, 2017 at 3:05 pm Me too! March 24, 2017 at 2:58 pm OH yum- I haven't had pistachio in so long! March 24, 2017 at 2:54 pm Excellent choice! March 24, 2017 at 2:11 am My favorite is mint chocolate chip. Thanks for the contest. The center rafflecopter box doesn't have a link to a twitter account. March 24, 2017 at 7:36 am Mint chocolate chip is by far my fav! March 24, 2017 at 2:53 pm It's refreshing! March 24, 2017 at 8:28 am i love strawberry! March 24, 2017 at 2:52 pm Yum! March 24, 2017 at 10:45 am My favorite ice cream flavor is Chocolate Chip Mint. It just melt in my mouth . March 24, 2017 at 2:52 pm I agree! March 24, 2017 at 2:26 pm good old chocolate is always my favorite! March 26, 2017 at 11:13 pm Classic! March 24, 2017 at 2:35 pm I love chocolate chip cookie dough! March 26, 2017 at 11:13 pm Always a popular option! 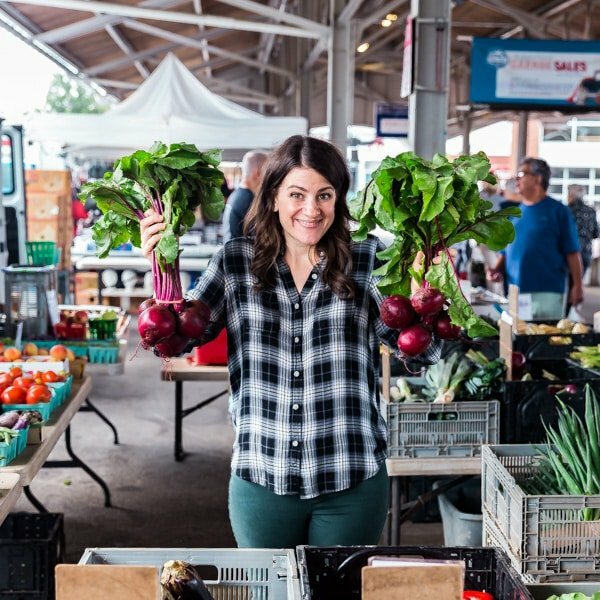 March 26, 2017 at 11:12 pm Lots of delicious options! March 24, 2017 at 3:29 pm This ice cream party is so inspiring and looks so fun!!! My favorite flavor is classic Oreo, but I'm also loving the salted caramel flavors that are coming out. March 26, 2017 at 11:12 pm Thank you! I love salted caramel! March 24, 2017 at 4:13 pm I love Chocolate almond icecream, my top favorite! March 26, 2017 at 11:11 pm Good choice! March 26, 2017 at 11:09 pm Love it! March 24, 2017 at 6:11 pm I do love Birthday Cake Ice Cream! March 26, 2017 at 11:09 pm Yum! March 24, 2017 at 7:19 pm I love chocolate ice cream. March 26, 2017 at 11:01 pm Gotta love a classic! 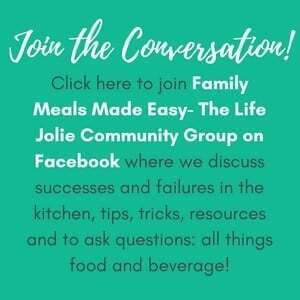 March 24, 2017 at 9:26 pm Love anything with carmel, etc. YUM! March 26, 2017 at 11:01 pm I agree! March 24, 2017 at 10:03 pm My favorite is mint chocolate chip. March 26, 2017 at 10:49 pm Yes! March 25, 2017 at 12:54 am My favorite ice cream flavor is mocha almond fudge. March 26, 2017 at 10:49 pm That sounds fantastic! March 25, 2017 at 1:53 am I love peppermint ice cream! March 26, 2017 at 10:48 pm Love it! March 26, 2017 at 10:47 pm Yum! March 26, 2017 at 10:46 pm Nice! March 26, 2017 at 10:46 pm Yes! That was one of the options our guests enjoyed at the party! March 25, 2017 at 1:52 pm My favorite Perry's Ice Cream is Birthday Bash! March 26, 2017 at 10:45 pm Awesome! March 25, 2017 at 7:19 pm My all time favorite flavor is Vanilla. March 26, 2017 at 10:45 pm There's something to be said for a big bowl of vanilla! March 26, 2017 at 10:45 pm You bring up a good point- chocolate is great no matter what form you choose! March 26, 2017 at 10:44 pm Good choice! March 26, 2017 at 6:26 am I love Butter Pecan and Coffee ice cream! March 26, 2017 at 10:43 pm Yes- coffee! March 26, 2017 at 9:18 am Birthday Bash is my favorite! March 26, 2017 at 10:11 am Black raspberry! March 26, 2017 at 10:43 pm I love that- I need to have some of that soon! March 26, 2017 at 1:13 pm Plain old chocolate is my favorite ice cream flavor. Though Perry's has Oregon Blackberry Cheesecake ice cream seasonally, you can only get it at ice cream stands, it is amazingly good. March 26, 2017 at 1:56 pm I love different kinds depending on my mood. I'm usually always in the mood for the Cherry Garcia though. March 26, 2017 at 10:42 pm Cherries are one of my favorite fruits! March 26, 2017 at 10:41 pm Peanut butter is always a good idea! March 26, 2017 at 2:07 pm I love caramel ice cream. March 26, 2017 at 10:41 pm Yum! March 26, 2017 at 10:41 pm Classic! March 26, 2017 at 8:52 pm It's a toss up between mint chocolate chip and birthday cake! March 26, 2017 at 10:40 pm Good choices! March 27, 2017 at 12:20 am my absolute favorite ice cream flavor is bailey irish cream!!! yum! March 28, 2017 at 8:44 am I've never tried this but it sounds awesome! March 27, 2017 at 12:49 am I love mint oreo. March 28, 2017 at 8:44 am Love this! March 27, 2017 at 4:28 am I love all chocolate ice cream -- Chocolate Peanut Butter is my current favorite. March 28, 2017 at 8:44 am Yum! March 27, 2017 at 5:29 am My favorite is caramel frappe. March 28, 2017 at 8:44 am That sounds fantastic! March 27, 2017 at 1:57 pm Chocolate, peanut butter is my all time favorite! March 28, 2017 at 8:43 am Excellent! March 27, 2017 at 2:26 pm my favorite flavor of ice cream is butter pecan. i love it so much. March 28, 2017 at 8:43 am It is pretty tasty! March 27, 2017 at 4:24 pm My favorite ice cream flavor is Jamocha Almond Fudge. March 28, 2017 at 8:43 am Nice! March 27, 2017 at 4:40 pm I like chocolate chip cookie dough. March 27, 2017 at 5:00 pm That's a popular one! March 27, 2017 at 5:00 pm It's hard to choose but ONE of my favorites is chocolate malt crunch! March 28, 2017 at 8:43 am This sounds delicious! March 28, 2017 at 1:22 pm Hi Jilliann- it's actually an XL shirt from the Target kid's section! I didn't think it would fit but I was pleasantly surprised when it did :) I normally range from a small-medium in adult sizes for shirts, if that's any indication of how it runs. March 28, 2017 at 8:42 am I love the name! March 27, 2017 at 7:07 pm my favorite flavor is carrot cake! March 28, 2017 at 8:42 am OMG yum! March 27, 2017 at 8:45 pm My favorite ice cream flavors are strawberry and green tea :) Thank You for the chance! March 28, 2017 at 8:42 am I've never tried green tea- I'll have to add that to my list! March 28, 2017 at 8:41 am One of my fav's! March 27, 2017 at 10:46 pm Birthday Bash is my fav! March 28, 2017 at 8:41 am Yum! March 27, 2017 at 11:01 pm Chocolate with peanut butter. March 28, 2017 at 8:41 am A great combo! March 27, 2017 at 11:35 pm Pistachio forever! March 28, 2017 at 8:40 am Good choice! March 28, 2017 at 8:40 am My daughter would be thrilled about this! March 28, 2017 at 12:53 am I like butter pecan. March 28, 2017 at 8:39 am Nice! March 28, 2017 at 4:42 am I always go for Perry's Death By Chocolate! My daughter is all about the Chocolate Panda Paws! I haven't seen the Peanut Butter S'mores yet...I'm on the lookout for it now!! March 28, 2017 at 8:38 am Check it out- I fell in love immediately! March 28, 2017 at 8:42 am we LOVE perry's cookie dough flavor the best!! March 28, 2017 at 8:48 am Love it! March 28, 2017 at 8:59 am I am a huge mint chocolate chip ice cream lover. March 28, 2017 at 1:23 pm Yes! March 28, 2017 at 9:33 am I love me some butter pecan in a waffle bowl!! March 28, 2017 at 1:23 pm A friend actually gave me a bit of a talking-to for not having waffle bowls hahaha! March 28, 2017 at 11:30 am I've never tried Perry's but it looks delish! My favorite ice cream flavor is banana. March 28, 2017 at 1:23 pm Then you've got to try their Banana Cream Pie ice cream! March 28, 2017 at 11:54 am I love chocolate! March 28, 2017 at 1:22 pm That's my dad's favorite! March 28, 2017 at 12:51 pm Mint choc. chip is my all time favorite. March 28, 2017 at 1:19 pm Love it! March 28, 2017 at 12:59 pm Mint chocolate chip is my favorite ice cream flavor. March 28, 2017 at 1:19 pm Yes! March 28, 2017 at 3:45 pm Smores would be my fave!! March 29, 2017 at 8:36 am That sounds delicious! March 28, 2017 at 5:19 pm Chocolate cherry cheesecake is my favorite. March 29, 2017 at 8:36 am What a delicious flavor combo! March 29, 2017 at 8:36 am Nice! March 29, 2017 at 8:36 am Awesome! March 28, 2017 at 6:43 pm I just love Rocky Road ice cream we eat it often. March 29, 2017 at 8:35 am Oh my gosh, I haven't had Rocky Road in so long- I love that! March 29, 2017 at 8:35 am Love coffee Ice cream! March 28, 2017 at 7:01 pm I like chocolate chip cookie dough. March 29, 2017 at 8:35 am Excellent! March 28, 2017 at 7:38 pm I like caramel ripple. March 29, 2017 at 8:34 am That sounds delicious right about now! March 28, 2017 at 8:04 pm I love old fashioned vanilla! March 29, 2017 at 8:38 am Always a tasty option! March 28, 2017 at 9:00 pm My favorite ice cream is Butter Pecan. Thanks! March 29, 2017 at 8:34 am Good choice! March 28, 2017 at 9:14 pm I love cookie dough the best. March 29, 2017 at 8:34 am Yum! March 28, 2017 at 9:39 pm My favorite Ice cream flavor is vanilla. March 29, 2017 at 8:34 am Classic! March 28, 2017 at 10:09 pm Oreo cookies and cream!! March 29, 2017 at 8:33 am Nice! March 28, 2017 at 10:17 pm I absolutely love Peanut Butter and Chocolate Ice Cream. Throw in any kind of nuts and I am in heaven! March 29, 2017 at 8:32 am I love when there are nuts in the ice cream- the texture they get when frozen is my favorite! March 29, 2017 at 8:31 am WE just ate some Perry's Strawberry last night! March 29, 2017 at 8:31 am Never a bad thing! April 12, 2017 at 3:19 pm Oh my gosh, how fun and delicious! I'm a huge ice cream fan, I couldn't narrow it down to one, but my favorite flavors are strawberry, pistachio or peppermint stick! April 12, 2017 at 3:34 pm OMG! Now I want to stuff my face with ice cream. I'd say that qualifies as a successful ice cream party! April 13, 2017 at 8:48 am Thanks Stacie- I ate SO much ice cream and I'm not even a little bit sorry about it. It was a good life decision! April 12, 2017 at 5:20 pm I love this idea! My kids love ice cream and this looks like so much fun. I have never heard of Perry's ice cream but it looks good. April 13, 2017 at 8:47 am Your kids have the right idea :) It's my fav! April 13, 2017 at 8:43 am Thank you- it was a labor of love! Perry's will always be my favorite ice cream! April 12, 2017 at 9:10 pm This is such a cute party theme! 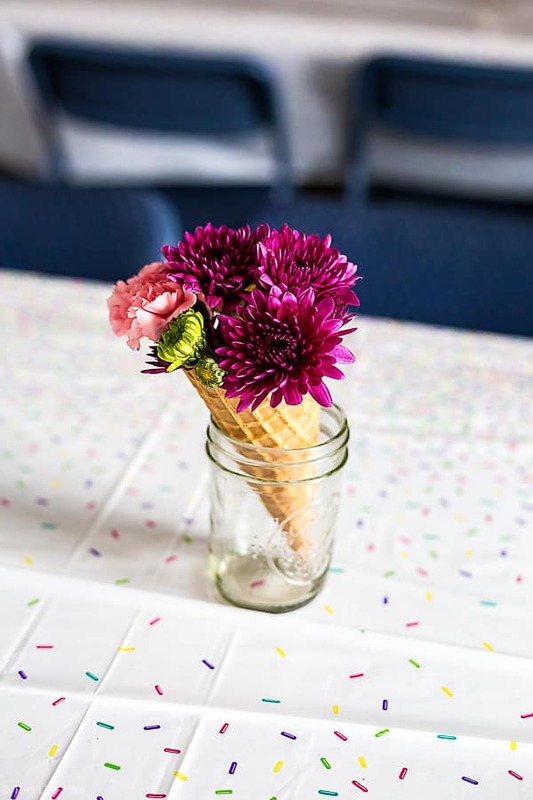 I am in love with those simple centerpieces you made with the flowers and the waffle cones. April 13, 2017 at 8:43 am Thanks Pam- those were a last minute add-on and I'm glad I added them! April 12, 2017 at 10:13 pm This is the kind of party my kids would love to have. I will have to stock up on Perry’s Premium Ice Cream Quarts. They will be the perfect size for it. April 13, 2017 at 8:42 am IT was a really fun day (and full of amazing ice cream!). April 12, 2017 at 11:29 pm What an incredible set up! Your photos are gorgeous! April 13, 2017 at 8:42 am Thanks Karissa! April 12, 2017 at 11:55 pm How cute! I love ice cream, prefer ice cream over cake anyway. I would totally do an ice cream party like this. My favorite has always been cookie dough but I've become partial to ice cream with peanut butter and chocolate in them. April 13, 2017 at 8:25 am Thank you- me too! Ice Cream for life! April 13, 2017 at 3:46 am I love peppermint ice cream. 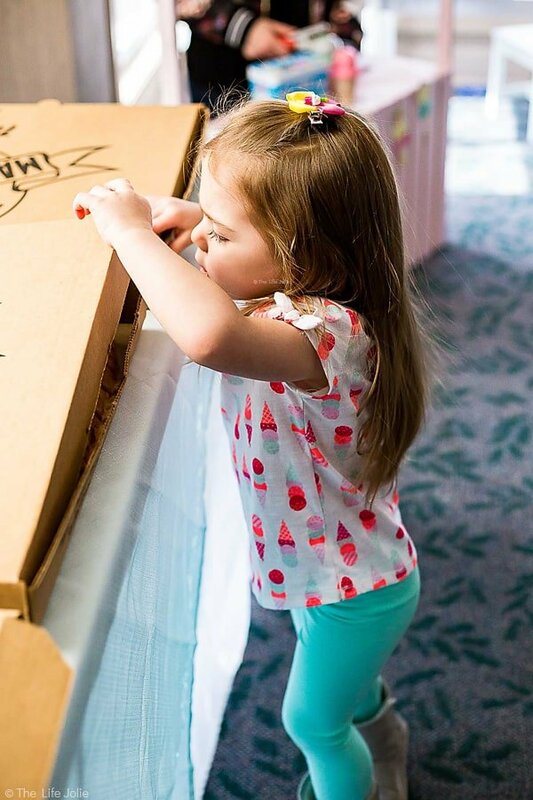 These are great ideas for a birthday party. April 13, 2017 at 8:20 am Me too! Thank you! 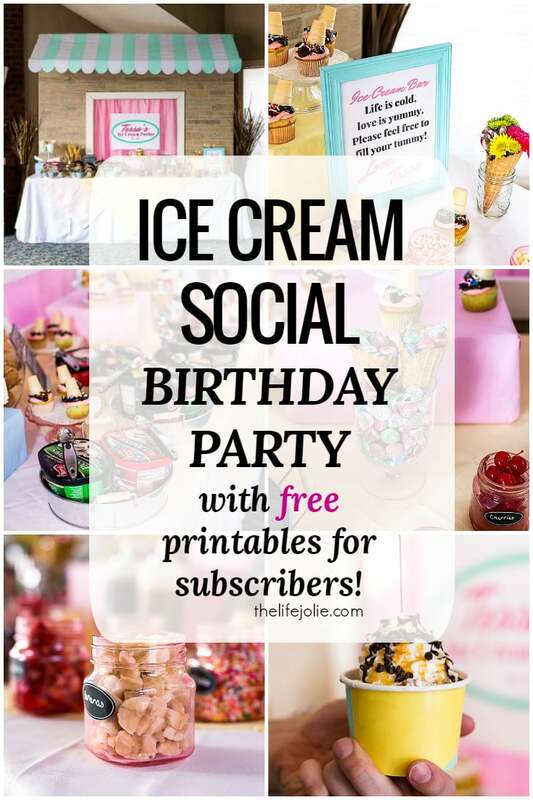 April 13, 2017 at 9:40 am These are great tips for an ice cream social birthday party. I love the idea of having a sundae bar so you can make your own sundaes. Perry’s Ice Cream is something I have not seen before but would love to try them. Thanks for sharing these awesome ideas. April 13, 2017 at 10:41 am THanks Rebecca- we all loved building our own sundaes! April 13, 2017 at 10:51 am You look like you did such an amazing job for her birthday. I am sure she loved it. It is just all so inventive. Kind of reminds me of the tea party I threw for my daughter when she was six. My ex was so much better at coordinating those sorts of things. I was just good at all the cooking and behind the scenes work that went into those parties. April 13, 2017 at 11:00 am Thank you! We all had a great time- I love the tea party idea! I bet it was amazing!! April 13, 2017 at 1:12 pm This is too cute!! This is the best ice cream social I've ever seen, hands down! Love your pictures and the set up. Thanks for sharing this-- you've inspired me to have an ice cream social for my neighbor's kids! They would love this! 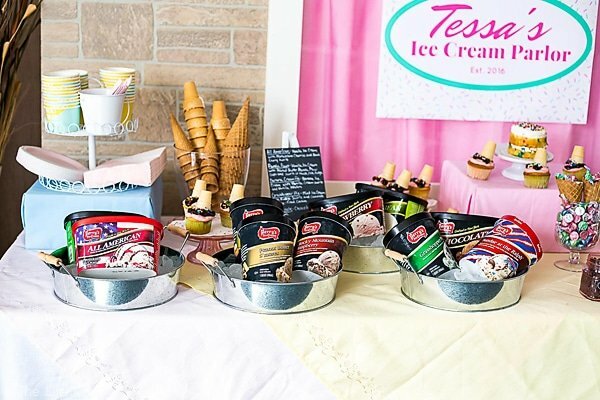 April 13, 2017 at 3:42 pm You took some really beautiful photos of this ice cream social party. I am inspired I want to have a party like this for one of my family members in the near future! April 14, 2017 at 2:49 pm Thank you- it was a blast! April 13, 2017 at 6:58 pm Wow, my daughters 2nd birthday is coming up and we're having a party on the 23rd. I decided last night i was going to make an ice cream cake but this sounds even better! April 14, 2017 at 2:48 pm Happy birthday to her! April 14, 2017 at 2:48 pm Thanks Kelly! Food themes are always my favorite theme! April 13, 2017 at 11:30 pm Now that is my kind of party! I love how much work was put into each and every single detail. 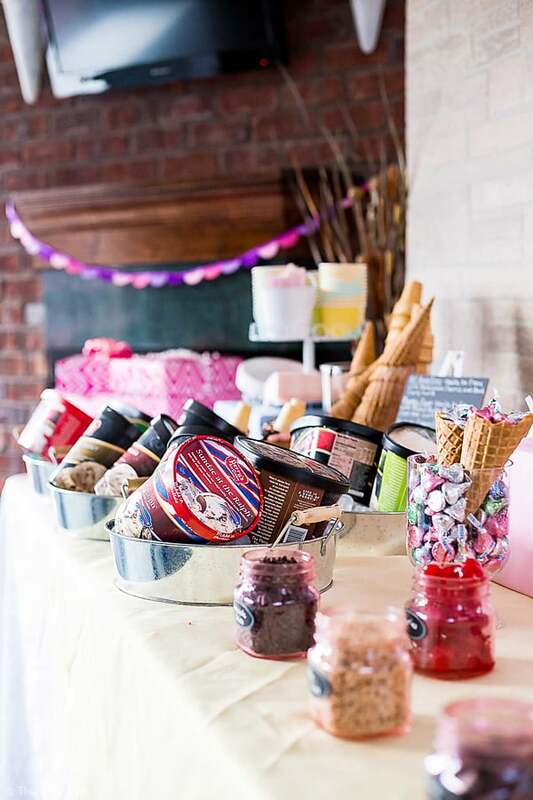 I am an ice cream lover, so this party would be absolutely perfect for me! April 14, 2017 at 2:16 am This looks like such a fun and memorable party. I know I've never attended one like it before. April 14, 2017 at 2:39 pm Thanks Tiffany- we had a great time! April 14, 2017 at 9:15 am That is our kind of party because we always scream for ice cream over here. :) Happy belated birthday to your little one. That is one fabulous party indeed! April 14, 2017 at 10:55 am This looks like such a fun party!! I have never heard of this brand of ice cream so now I am on a journey to go find some! April 14, 2017 at 2:23 pm Thank you- we had a great time! April 14, 2017 at 6:16 pm I love everything about this party idea. Ice cream is one of my most treasured items in life. My daughter would die for an ice cream sundae party. I love the decor and the details. 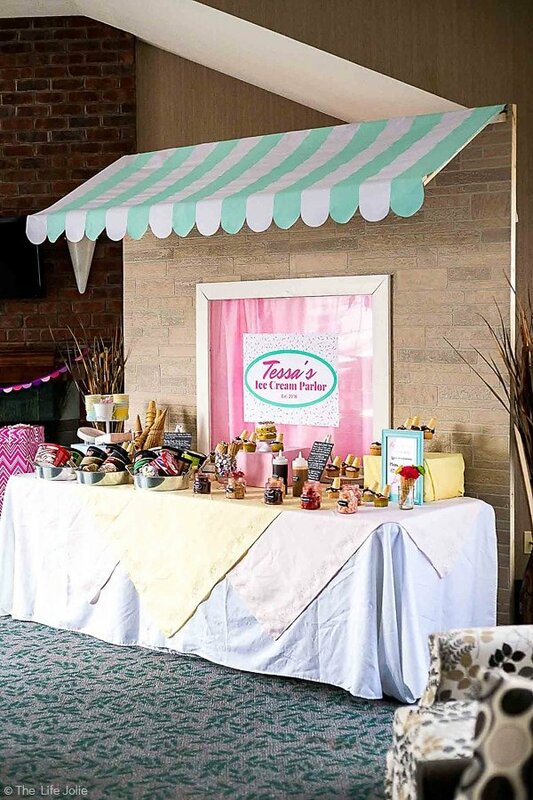 Tessa's little shop is adorable. April 17, 2017 at 3:54 pm Thank you- I agree, there is nothing better than ice cream! April 14, 2017 at 8:09 pm This party turned out AMAZING! 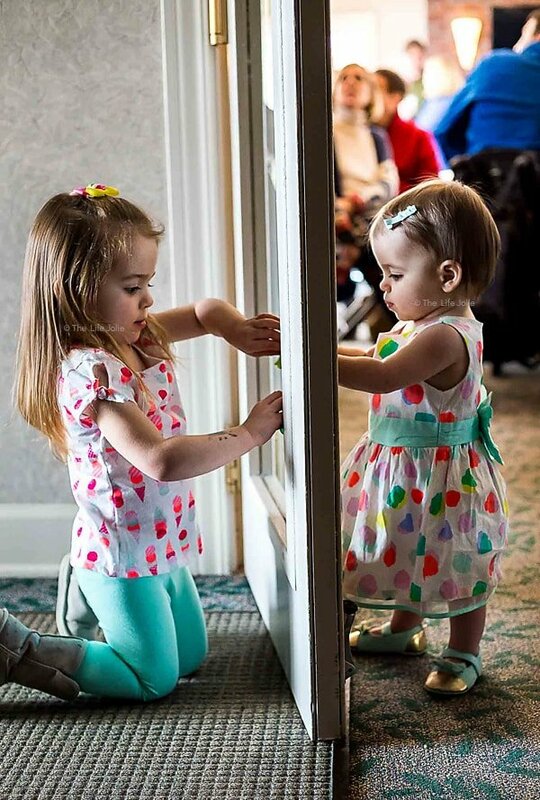 And OMG your photos are absolutely stunning---I hope we can organize a party like this for my niece some day! April 15, 2017 at 12:25 am Oh My Gosh, this is the cutest party idea! I love the space that you have organized it in as well - beautiful! Can I hire you to set up our next party here? 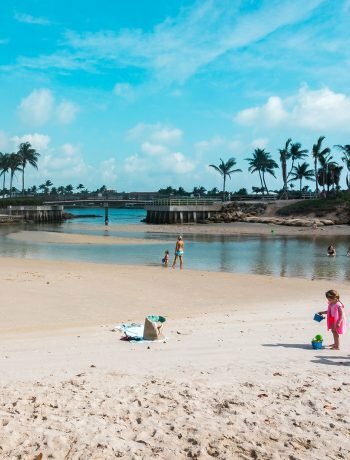 This is so special for your kids to experience - wonderful! April 17, 2017 at 3:52 pm Thanks- we had a blast! April 16, 2017 at 11:11 pm Ooooo such a tough decision!!! I think I will have to go with chocolate chip! Yummy! April 17, 2017 at 3:51 pm Yum! April 17, 2017 at 4:24 pm Mint chocolate chip, always and forever. I think the world needs to spend more time eating ice cream, really. April 18, 2017 at 9:25 am I couldn't agree more, on both points! April 19, 2017 at 10:01 am Thank you! This would be great for hot weather! April 19, 2017 at 10:46 pm This looks like such a fabulous party! I bet your kids had a blast! April 21, 2017 at 9:16 am Thanks Shannon! We all did!